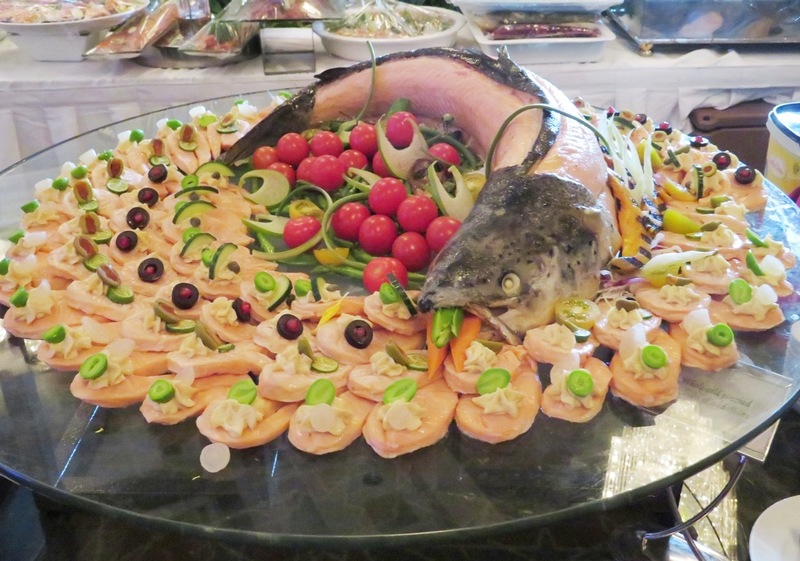 It’s always a “where do I begin” moment at the annual Norwegian Seafood Gala Dinner at the Mandarin Oriental Kuala Lumpur. 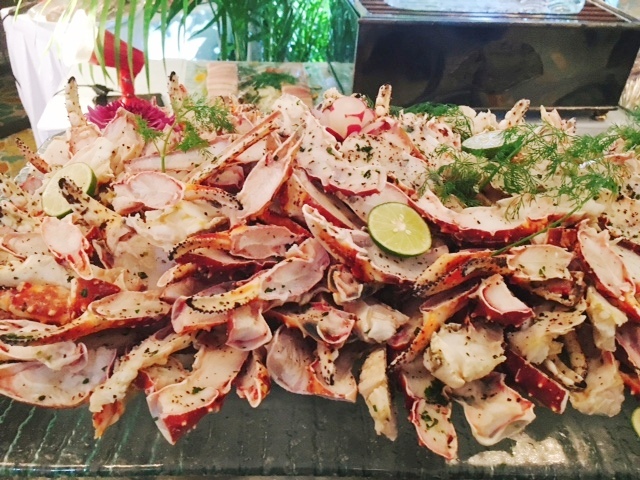 All manner of seafood, from king crab, salmon, turbot, monkfish, lobster, scallops, haddock, mackerel, herring, cod, rainbow trout, shrimps and more, prepared in western and Asian styles are laid on long buffet tables that snake round the centre of the huge ballroom. 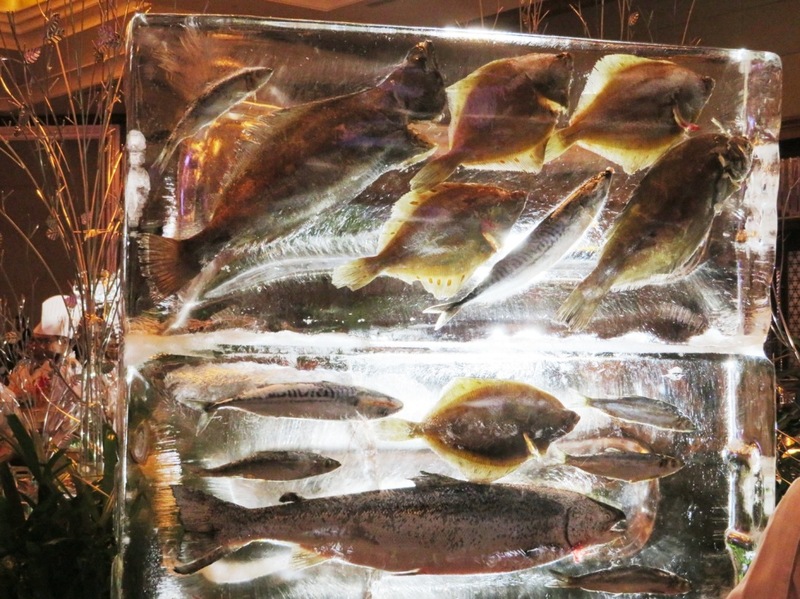 A Viking ship carved in ice, with fish and king crabs draped over it and various fish frozen in a frame of ice are showpieces of Norwegian seafood. 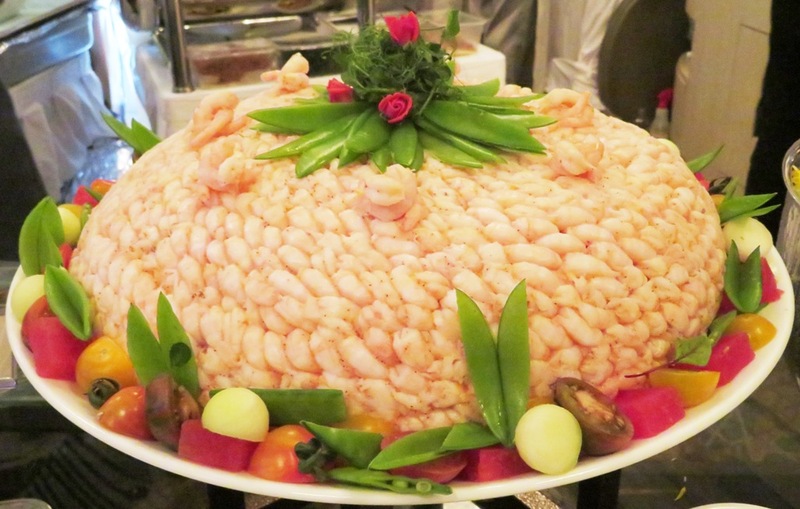 This gastronomic seafood event was hosted by Her Excellency Gunn Jorid Roset, Norway’s Ambassador to Malaysia recently. 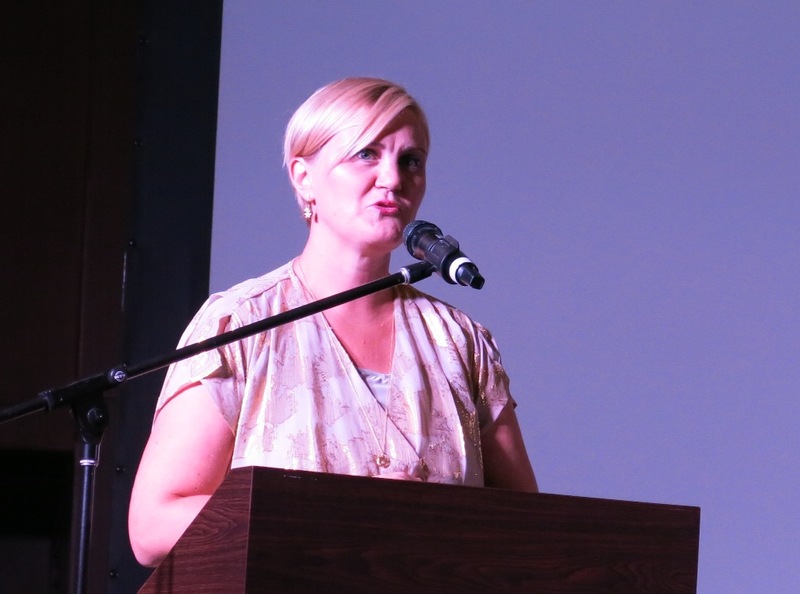 It’s her first Norwegian Seafood Gala Dinner; there are other similar dinners held in the region, but she’s heard the best one is always in Kuala Lumpur. 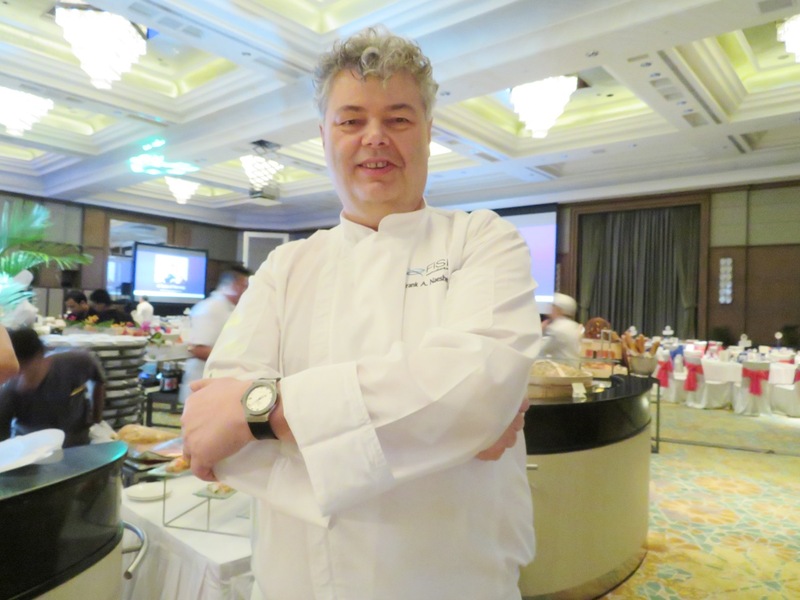 According to Frank Naesheim, head chef and CEO of Snorre Foods Pte Ltd Singapore, who orchestrated the Norwegian seafood feast, 1.2 tonnes of seafood was flown in from Norway for this occasion. Frank had brought in a team of chefs and they each cooked their special dishes at this dinner. 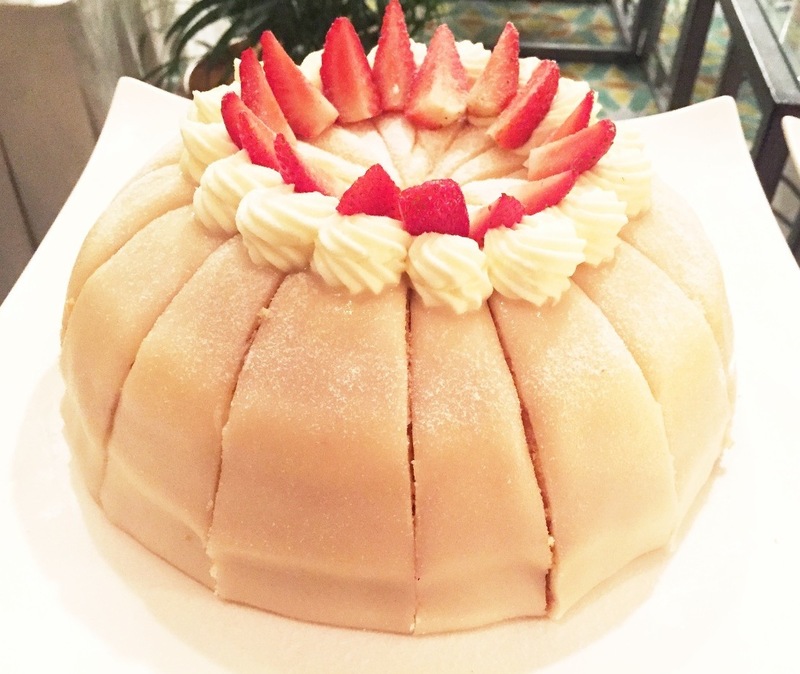 They are chefs of substance and experience, each known in his own right, so it was a rare chance to taste the culinary creations of chefs like Markus Dybwad, Kenneth Loke, Anderson Ho, Mathew Leong, William Ng and James Han. Markus Dybwad is formerly junior sous chef at Heston Blumethal’s 3-Michelin-starFat Duck and is now consultant chef with Snorre Food. Mathew Leong worked for a year at the amazing 1-Michelin-star Chef Renaa Restaurant in Stavanger Norway. Now back in Singapore, he’s going to be deeply involved in Frank’s plans for a seafood restaurant and market there. 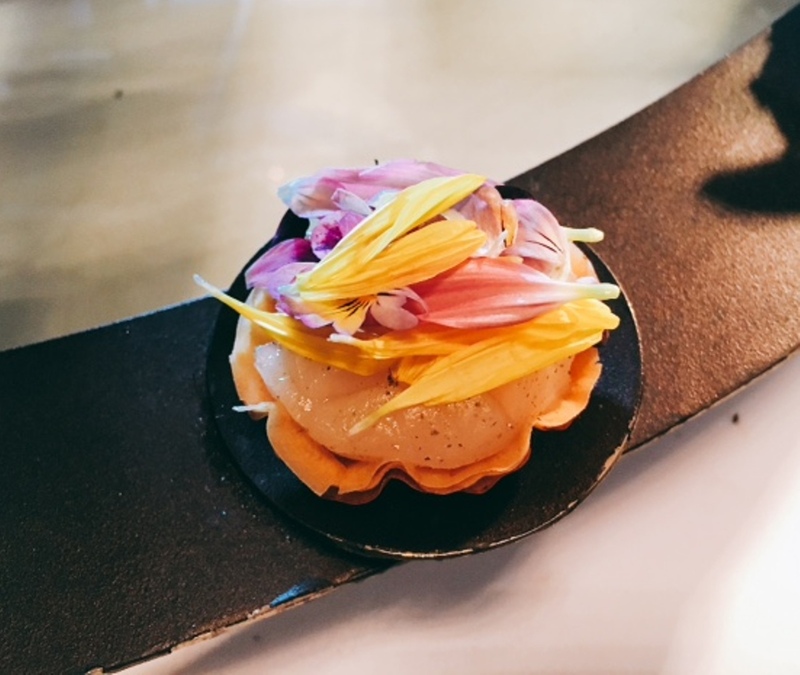 Mathew’s exquisite Scallop Tart had me going for seconds. 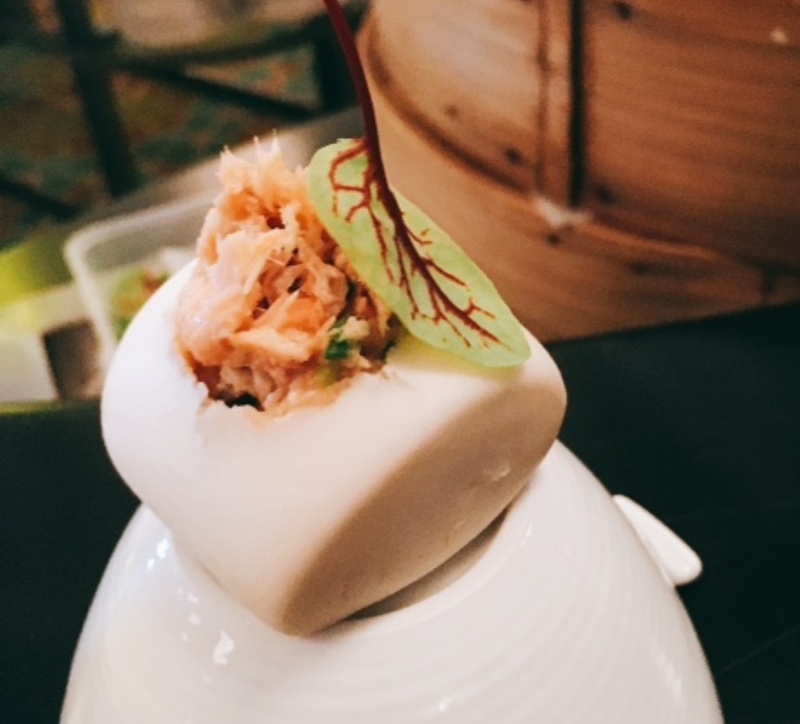 Chef Anderson Ho’s Pulled Salmon Mantou with Ginger and Scalion Salsa was delicious. 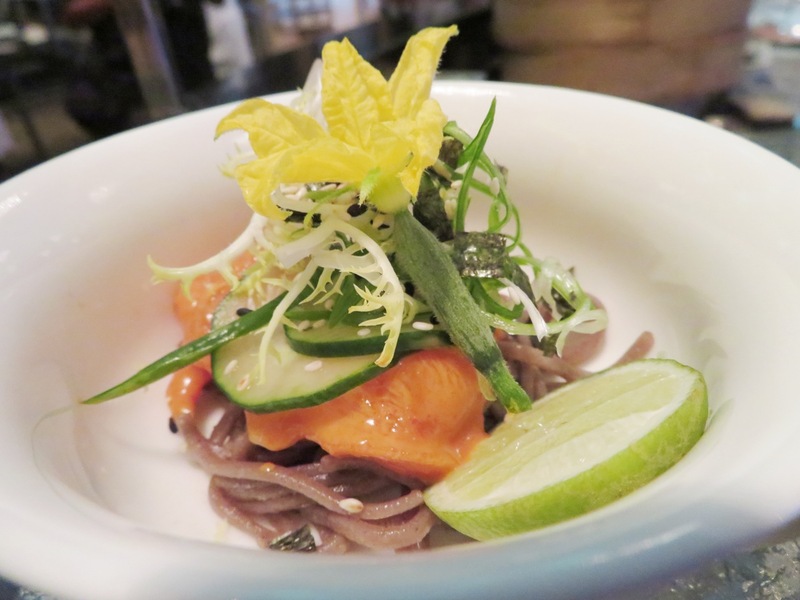 He also did a Salmon Poke Bowl with Soba and Cucumber Flower, a dish that’s trending now. Anderson has worked with masterchefs Alain Ducasse, Alain Senderen and Gerard Boyer at Raffles Singapore. I had Kenneth Loke’s creamy and amazingly flavourful Shrimp Congee, simmered with stock derived from a million shrimp shells. The congee was piled high with sweet and crunchy Norwegian shrimps. Kenneth is from Johor, and he’s got a bronze medal from Asia Pacific Bocuse D’or 2014. 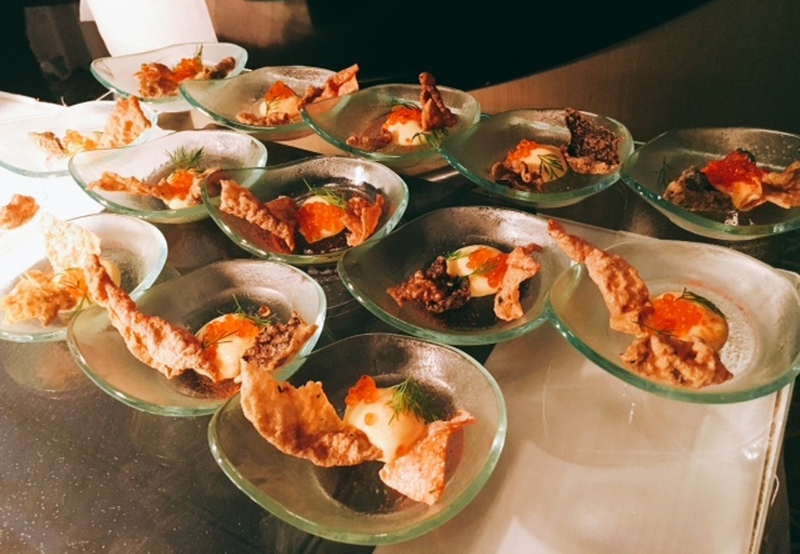 There were more of these gourmet creations by the other chefs, finished a la minute and served to a long line of guests, nearly 700 in all at this Norwegian Seafood Gala Dinner. 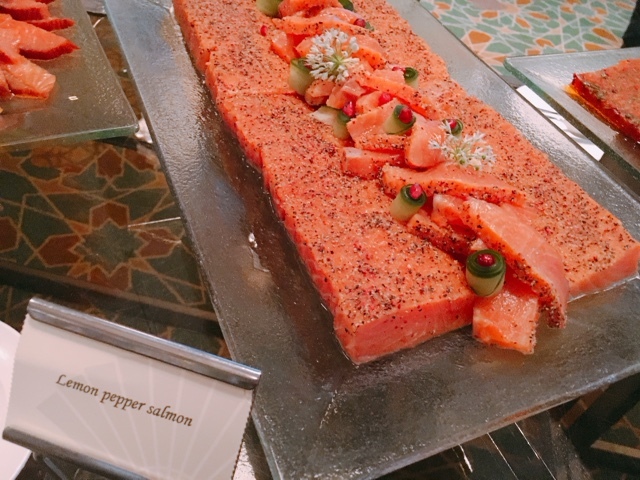 On the buffet was salmon done in at least 10 different styles, from double smoked salmon to black and white sesame salmon, lemon pepper salmon, hot smoked salmon with sambal, and with gochujang, seared pepper salmon Nicoise, salmon tartar and hot smoked salmon with turmeric and garlic, among others. Smoked rainbow trout, hot smoked pepper mackerel, curry herring with apple and mango, marinated herring with Asian salsa and smoked rainbow trout were other appetiser items. 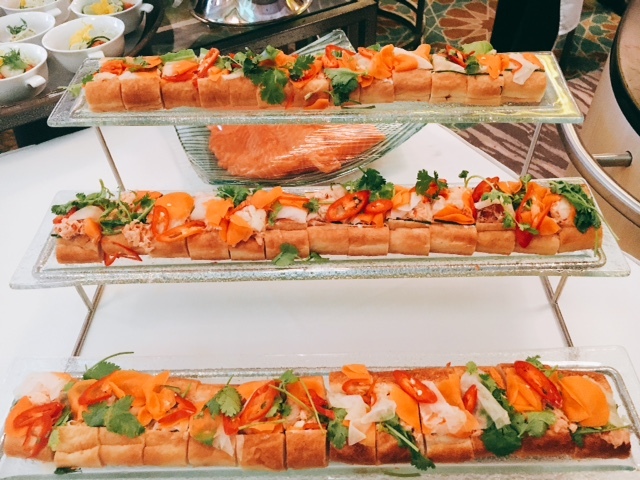 There were the “wow” platters of King Crab Sandwich with tomatoes and avocado, Cooked King Crab Legs on ice, Norwegian coldwater shrimp tower, and Whole Poached Salmon and medallions, which drew the crowd. The other popular counter was that of Sushi and Sashimi where salmon, halibut, scallops, salmon trout and mackerel were served sashimi style. Norwegian and other desserts were on the buffet outside the ballroom. I had the lovely Norwegian brown cheese and waffles, and almond and apple ice cream. There were Norwegian cakes and fruit tarts and mousse. It was a sweet, lovely end to a sumptuous seafood dinner. Another highlight of this year’s Norwegian Seafood Gala Dinner was the presentation of the Malaysia Norway Business Council Award to InvestKL, whose CEO Datuk Zainal Amanshah received it from Datuk Seri Mustapa Mohamed, Minister of International Trade and Industry, who was the guest of honour.